Sony announces HDR plans for 2015 TVs | What Hi-Fi? 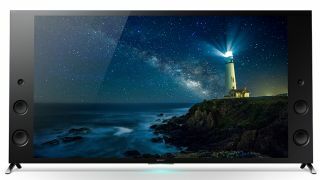 Sony has confirmed it will be bringing HDR technology to a selection of its 2015 TVs later this year via a software update. The Sony TVs in question are the X93C and X94C Ultra HD 4K TVs, which will get HDR (High Dynamic Range) support via a network update, due out in the summer. Sony says that thanks to its proprietary X-tended Dynamic Range PRO technology, found on the 74in X94C, and X-tended Dynamic Range tech on the 55- and 65in X93C TVs, viewing experiences will be “superior to that of normal HDR video and any other video source with greater contrast”. Neil King, head of home entertainment, Sony UK and Ireland, said: "Our decades of experience allows us to introduce emerging industry standard HDR to our 4K Ultra HD TV series and to reinforce contrast thanks to Sony’s unique technology X-tended Dynamic Range PRO. "And now, by pairing our unrivalled picture quality with Android TV, we are setting out to provide our customers with the best user experience possible." In addition to HDR technology, the 4K TVs also benefit from Sony’s new 4K Processor X1, which is claimed to bring “stunning clarity to whatever you’re watching”, whether it be 4K, HD or SD content. The TVs will also run on Google’s Android TV platform, which provides access to apps, movies and games from the Google Play store. Both the X93C and X94C TVs are available to pre-order online now, and are expected to be in stores from May. The X93C is available in 55in (£2599) and 65in (£3999) variants, while the X94C is solely 75in, for £7499.